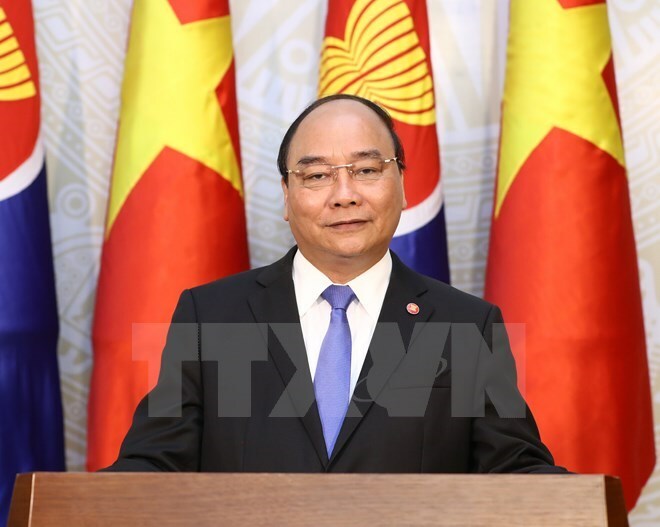 Hanoi (VNA) - Vietnam is committed, along with other member countries, to build a united and self-reliant ASEAN Community, said Prime Minister Nguyen Xuan Phuc on the 50th founding anniversary of the Association of Southeast Asian Nations (ASEAN) today. Delivering a speech on August 7, which also marks the 22nd year of Vietnam’s entry into the group, the PM said that "Vietnam and member countries would accelerate internal trade and investment, develop infrastructure, and narrow development gaps; effectively co-operate to serve the people, improve people’s living standards, ensure social welfare, and promote the pride of the Community; build an ASEAN Community based on law, especially fundamental principles of international relationships; and improve the efficiency of partnerships, maintain a central role in the region, and uphold common viewpoints on regional and international issues." PM Phuc said the 21st century had posed opportunities and challenges for ASEAN in realising the ASEAN Community Vision 2025 which calls for “a law-based ASEAN Community, serving the people and considering the people as central”.